SAP software company – A lesson on risk-taking, constant challenge, and crystal-clear vision. It was in 1972 when five engineers from IBM broke away from the established firm to see what they can make of themselves. It was the decade when mainframes ruled and the five mavericks wanted to make a business out of their thinking out of the box. The first SAP software was introduced soon after, with only a shoestring budget as the founders were just starting out. This SAP software was in real time, something that nobody had ever done before. “This is the future,” the founders said of the SAP software they were putting together, but it took a while before the whole world was convinced. 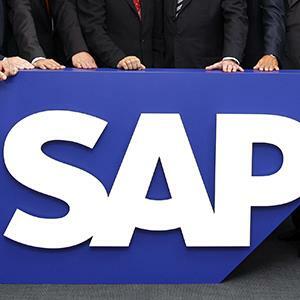 Over the next 40 years, however, the name SAP became synonymous with the company that enables businesses to do business better. According to Platt, one of SAP software company’s five founders, the key is not what you invent but in bringing the right things together at the same time. The Germany-based company has since made its presence felt in more than a hundred other countries and across numerous industries. In the years that followed, SAP software underwent transformations of its own, getting better with each product and each version. As Platt said, their users went from being card punchers, to being paradigm shifters, to being global market leaders. SAP has made its market presence felt through its many able and well-connected suppliers. The SAP software supplier is as dynamic and as future-oriented as the company SAP itself. The SAP software supplier is not just concerned about selling products per se, but about maintaining relationships and empowering businesses to reach their fullest potential. In more recent years, SAP has taken advantage of the popularity and indispensability of the Internet. Indeed it has developed not just applications, but platforms. The SAP Netweaver, for instance, which followed the immensely popular SAP R3, links up SAP systems with non-SAP systems thereby offering inclusive access to the benefits of the platform. In the general sense, SAP software company is not just about offering software solutions or an entire suite of business applications. It is instead about empowering the business owner and decision maker to have a complex analyses of various sets of information, individually or taken together. Yet again, SAP is also reaching out to the community through its various activities. For example, it has links with non-profit organizations that advance various causes such as rebuilding fishing communities devastated by the earthquake and tsunami that struck Japan in March 2011. It also fights the spread of HIV-AIDS in some countries in Africa. It moves for greater access to education in countries where there is little. It provides livelihood to marginalized segments of the population. Since 1972, or more than 40 years ago, SAP has transformed the way businesses do business, and inspired many establishments to transcend their profit and loss statements by giving back to the community. It’s a giant, indeed, and its progress is fueled by the fact that it is also helping others attain growth.